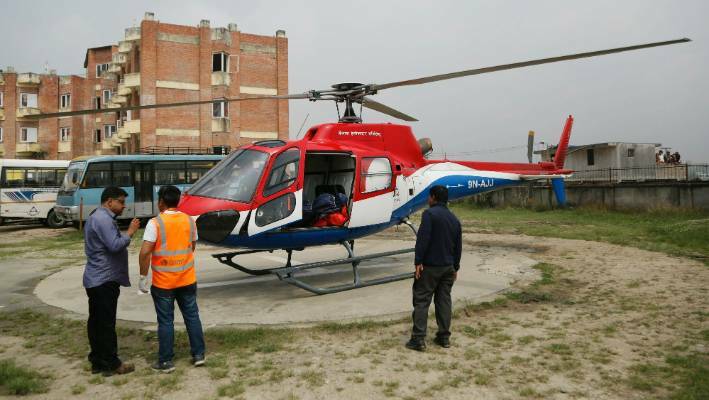 S Dhungana, co-pilot of the plane, and Assistant Sub-Inspector Ram Bahadur Khadka, who was stationed at the helipad, were killed in the incident, Tribhuvan International Airport spokesperson Pratap Babu Tiwari was quoted as saying by the paper. Hoards of people gathered around the aircraft wreckage following the crash as debris was strewn on the ground. Tenzing-Hillary Airport is known as the gateway to Everest and is regarded the world's most risky because of its hard approach and short runway. It's open only to helicopters and small fixed-wing aircraft.